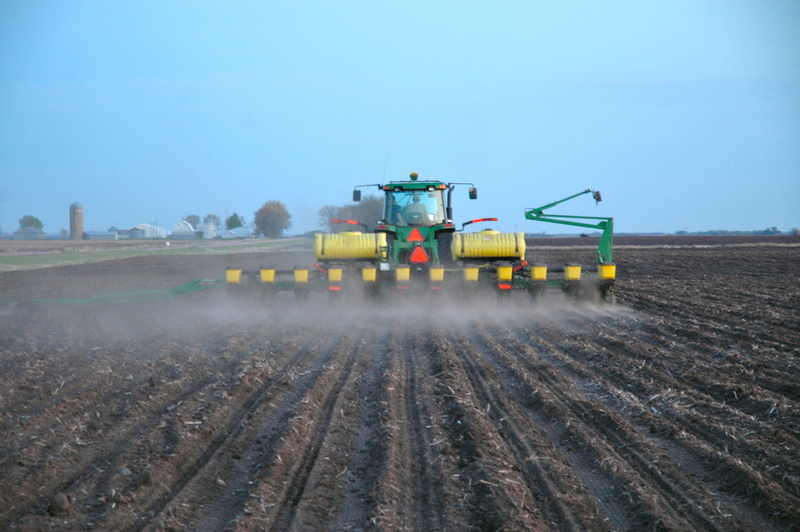 Does later planting equal lower yields? It’s conventional wisdom that the earlier a farmer plants his crop, the better opportunity that crop has to thrive. Those thoughts may be cause for concern as winter weather continues across South Dakota during the middle of April. 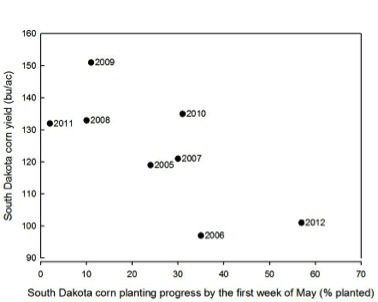 But when specifically speaking about corn in South Dakota, planting dates and yields don’t always correlate. In fact, the state’s biggest crops have come in years of late plantings. The chart below details just that, showing the planting progress in the first week of May in comparison to final yield. So while the recent blizzards have brought more snow, ice, rain and cold weather pushing back spring planting, most farmers are simply happy to receive the moisture in any form hoping to replenish the subsoil. That recent moisture has done wonders according to the recent weekly drought monitors, as they have shown significant improvements. With the drought shrinking, optimism in farm country is high. The weather will warm, spring planting will happen and farmers will work to meet the future demands for food, feed, fuel and fiber for folks at home and around the world. Once again, there is hope in the farmers of South Dakota. This entry was posted in News and tagged corn, farm, planting, South Dakota, yield.